We want our students to begin their lifetime of learning with a sense of wonder and a spirit of inquiry. 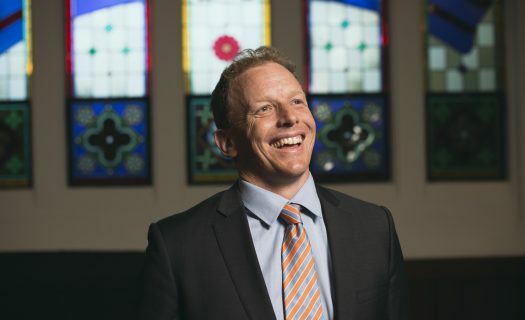 In Term 2, 2015 the Newington community welcomed Mr Benjamin Barrington-Higgs as the new Head of Lindfield. Mr Barrington-Higgs is a passionate educator who has most recently headed Yayasan Pendidikan Jayawijaya School, Indonesia. He is an accredited PYP workshop leader who has previously worked at All Saints’ College, Bathurst; Cranbrook School, Sydney; Jakarta International School and as a lecturer in Primary Education at Charles Sturt University. Mr Barrington-Higgs has a wife, Andrea and three children. His two sons Oli and Tee now attend Lindfield. 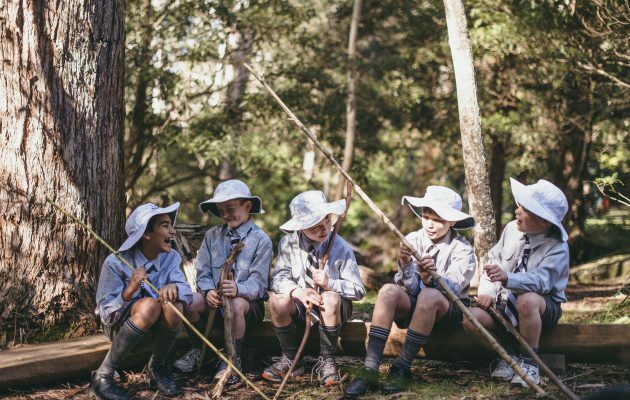 Mr Barrington-Higgs tells us about the importance of student engagement and how the Primary Years Programme (PYP) at Lindfield is striving to engage students in meaningful learning experiences that inspire and challenge boys of all ages. There is a clear focus on purposeful teaching that is responsive to the learning needs of every student. Our teachers’ focus on differentiation of instruction makes the curriculum inclusive and accessible to all boys regardless of learning needs or individual ability. By providing boys with purposeful and responsive teaching techniques, in combination with stimulating learning spaces that focus on learning design and technology, we can ensure that our boys get the most out of their learning environments. The key to our students' success is fostering the partnership between family and school with clear and continuous communication. We aim to provide an energetic, positive and optimistic school where people want to teach and learn. We want our students to begin their lifetime of learning with a sense of wonder and a spirit of inquiry. As educators, teachers at Lindfield appreciate their challenge to be the designers of learning so that each boy is engaged, inspired and challenged. Merely being charismatic is not enough to engage our students, as they require deeper and far more challenging forms of engagement in order to be successful. So how do we engage our students? It is vital for teachers to build positive relationships and provide a nurturing school community to help students achieve their full potential. An unwavering commitment to each student’s intellectual potential ensures that high expectations are set and met. Each student deserves to work at the edge of their competence, to be challenged and stretched so that they can grow in many different ways. Along with being challenged, relevance is a key factor in student engagement. The PYP framework focuses on inquiry and action, which promotes learning experiences that are relevant to individuals and communities. When students are engaged in inquiries that matter to them they can connect with the concepts they are learning about and apply what they have learned to their own lives. In a classroom of ‘engaged’ students you will see a teacher who is aware of where the students are. Providing “just in time” feedback entails a teacher who moves around the room, kneeling or sitting with students, listening in on discussions, conferring with individuals and recognising when students are in need of guidance. High expectations and challenges must be balanced with the right amount of support. This support is geared towards helping students to think. Skilfully checking-in can inspire students. Creating an atmosphere in which students are engaged takes a certain attitude, as well as effective teaching skills. As educators, teachers at Lindfield appreciate their challenge to be the designers of learning so that each boy is engaged, inspired and challenged. Newington's tradition of individuality, excellence and community is a trademark of our students; it is the cornerstone on which our school was built and the heritage for its future. Boys leaving their primary years take their place in the wider community of the College with confidence, knowing that those years provided the foundations on which to build a successful and satisfying future.